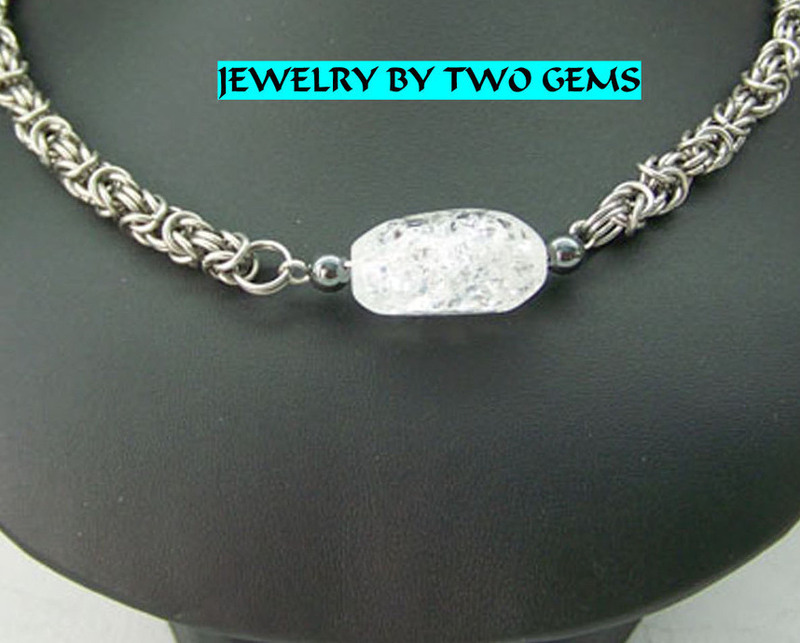 Stainless Steel Byzantine Necklace or Chain Stainless Steel hand created Byzantine chainmaille necklace with faceted crystal quartz focal gemstone. This will be your next favorite piece of jewelry and it's a good thing. 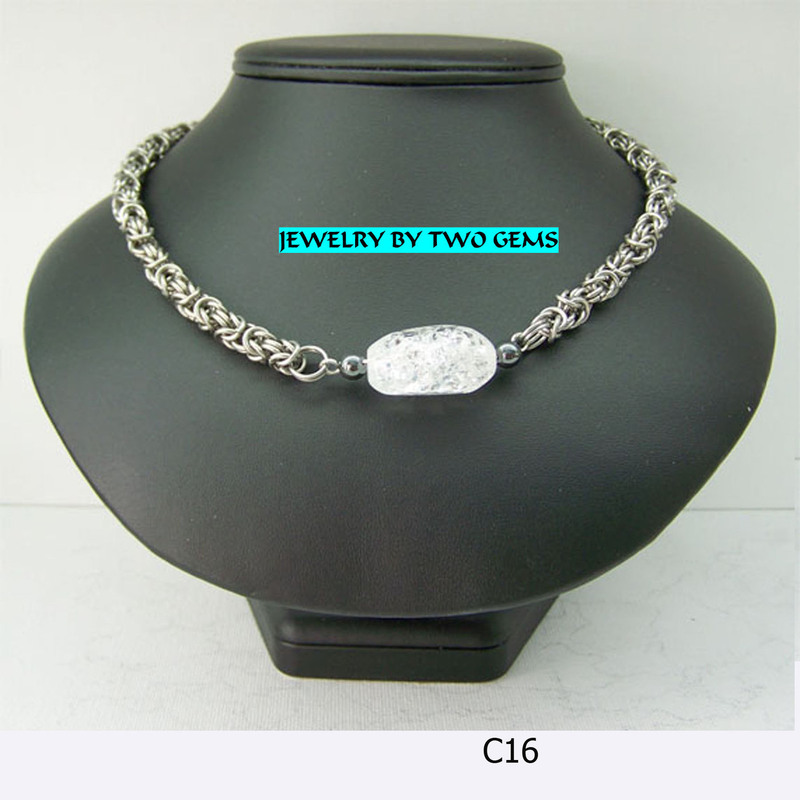 This piece can be worn anytime, or anywhere with it's ability to look great with anything. 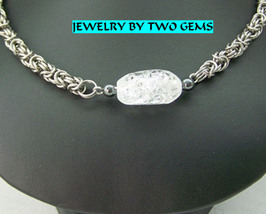 Can be created with your choice of focal gemstone or in finer gauge for that more delicate look. Your one of a kind piece is up to you. Contact us for pricing and information. 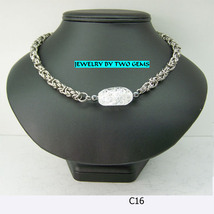 This measures18" to 20" and has a lobster clasp.